I took a sento bath the other day. The sento’s name is Tazunoyu and it is close to Kaijin station. There’s popular cake shop near the sento. 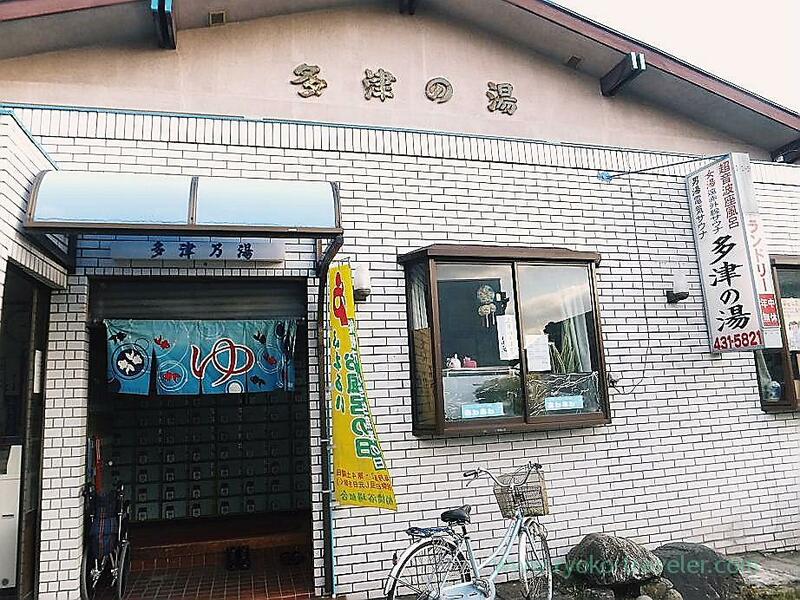 It is front-style sento.Front-style is now ordinary style of entrance of bathing facilities. oronamin c and so on. The bathroom is rather large. The bathtub is divided into three and the bath soak “Lavender and camomile” in it. Certainly, the water color was like so, but I couldn’t find the smell of that at all. I think they should prepare one part of area have no bubble. It have three areas ! Because of the bubble, the bathwater was very hot and there were much steams !